Whether it's Ice Cold Beer, Delicious Cocktails, Prime Rib, Steak, or $5 Burger Baskets, Route 65 Pub & Grub will have a food and drink special that you are sure to enjoy. Live Music, Pull-Tabs, Meat Raffle, Texas Hold Em' and so much more! Route 65 Pub & Grub always has something fun going on. 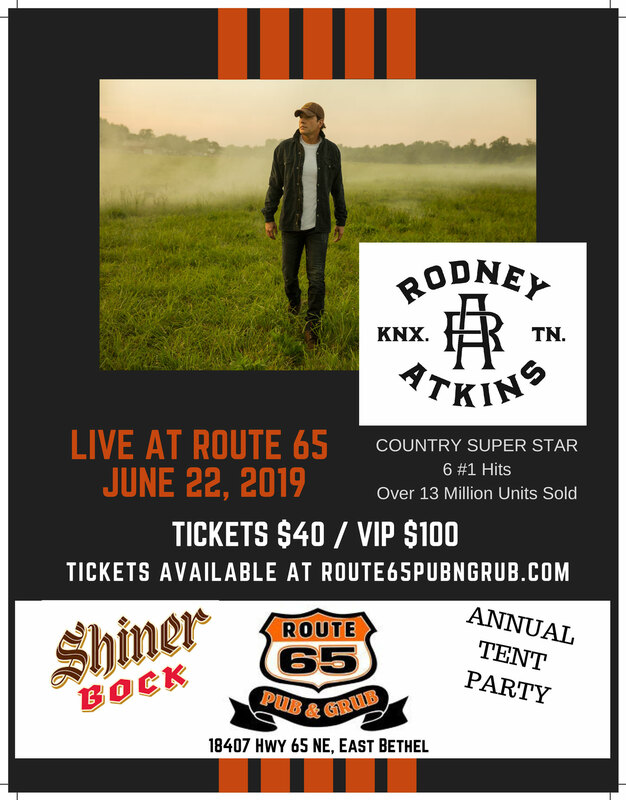 So grab your family and friends and come on down to Route 65 Pub & Grub, where you will be sure to have a great time! Join the party at our Facebook page and stay up-to-date on what's happening at Route 65 Pub & Grub, where it's always a good time! When it comes to great food, cold beer and spending time with friends, Route 65 Pub & Grub is the first choice in a bar and restaurant near Bethel. While we call ourselves a pub n grub, we are also a bar and grill, providing a mouthwatering menu of traditional pub foods as well as some of our own unique twists on great food. Of course, we are also a fun entertainment venue offering happy hours, live music and a relaxing and welcoming atmosphere for the entire family in our restaurant. If you cannot make it in to see us, remember we also can provide event catering and delivery services for your parties and events. While many of the restaurants and bars close to Bethel offer a limited menu, we provide a top selection of wraps, sandwiches, great burgers, gourmet hot dogs and handmade pizza to provide a great meal any time of the day or evening. You can even enjoy a soup and salad or try our top selection of appetizers. We also offer some amazing flatbreads; our unique create your own pizza option and appetizers that are perfect to enjoy anytime. Add to your meal with a great selection of bottled beer, beer on tap or enjoy a glass or two of red or white wine. Route 65 Pub & Grub is famous for our daily specials from Monday to Thursday including half price pizzas on Mondays, $5.00 burger basket and fries on Tuesdays, prime rib dinner and a wing special on Wednesday and a Thursday steak fry. For kids, we are one of the top restaurants in Bethel with breakfast as well as lunch options that will appeal to the whole family. Whether you visit us for our bar or restaurant, we know you will be happy with your decision.